The spring season is lush and warm, and it’s the ideal time to take the family on outdoor excursions. Unfortunately, it’s also when many insects return from their winter vacations equally ready to enjoy the sun. While some insects are just a nuisance, others can pose serious threats to property and people. Knowing which insects you may find will help prepare you to identify them and handle them appropriately. 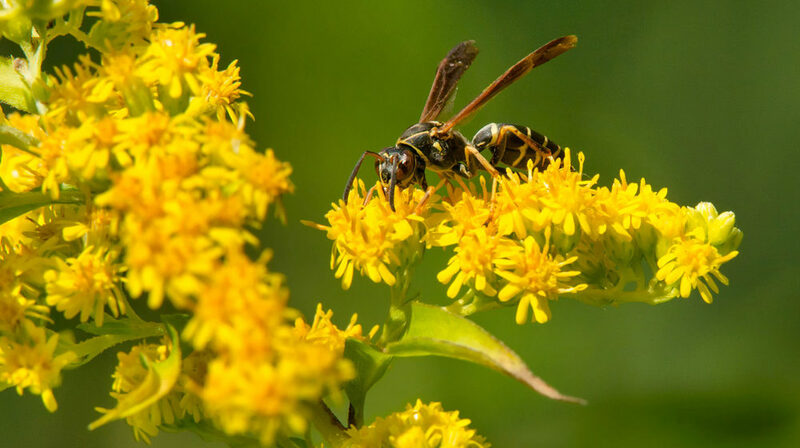 These stinging insects come in a number of species, from the mostly nonthreatening mud dauber to the highly aggressive yellow jacket. It is important to be able to quickly identify the bee or wasp to assess the danger it may pose, especially to small children or those with allergies. A Florida native, the palmetto bug can be easily identified by the foul smell it discharges when it feels threatened. Also known as the Florida woods cockroach, it prefers to stay outdoors in and around palmettos. Areas at risk for termites run throughout the state from Fort Walton Beach to Key West, so be on the lookout. Regularly check places with exposed wood, especially as temperatures rise and termites look to expand. Quickly eliminate swarmers—the flying reproductive termites—to avoid new infestations. These insects are mostly a danger to your lawn, feeding on the grass and releasing a toxin that eventually kills it. There can be as many as 200 bugs per square foot in sunny areas of turf. Adults grow to about 1/6 of an inch, have dark bodies, reddish legs, and white wings. So you think you may have a pest problem. What now? These spring pests rarely go away on their own, so follow our recommended steps for taking back your home and yard. Straight away, do your best to identify the insects. Take note of their location, behavior, bright coloring, and prominent patterns before doing a quick online search. For example, you might notice an abundance of mosquitos with black-and-white striped legs and a white stripe down the back. These colors and patterns will effectively direct your search to the Asian tiger mosquito. Walk your property. Drain all standing water (a mosquito’s paradise) and discard piles of garbage, especially if they contain rotting organic material. Clean regularly inside the house to keep trash and food waste from collecting, which invites pests to move indoors. This is often the most effective method of pest prevention and eradication. Some things you can easily take care of on your own. See a small mud dauber brood chamber on the back of the shed? With some protective clothing, the right equipment, and a bit of care, you can remove it without much fuss. But if you look down after clearing the mud daubers away and find extensive termite wood damage, it might be time to call in the big guns. Reputable pest control companies will work with you to eradicate pests, and they might even throw in a free inspection of the rest of your property while they’re there.